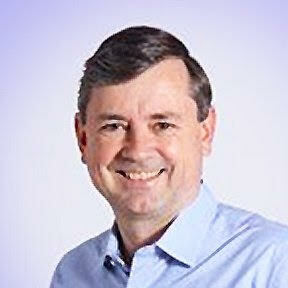 Max Holmes has been an Adjunct Professor of Finance since 1993. He is the Chief Investment Officer of Haven Asset Management LLC of Greenwich, Connecticut. In addition, since 2015 he has served as a Senior Advisor to American Industrial Partners (AIP), a middle-market private equity firm ($4.0 billion in AUM) and some of its portfolio companies. From 2005 to 2016, Mr. Holmes was the Founder and Chief Investment Officer of Plainfield Asset Management LLC ($5.4 billion in AUM). From 2002 to 2005, Mr. Holmes was the Head of the Distressed Securities Group and a Managing Director of D. E. Shaw & Co., L.P., where he served as Co-Portfolio Manager for D. E. Shaw Laminar Portfolios, L.L.C. ($2.7 billion in AUM). Previously, he worked at RBC Capital Markets (a subsidiary of The Royal Bank of Canada), Gleacher NatWest Inc. (a subsidiary of National Westminster Bank Plc), and Salomon Brothers Inc. From 1986 to 1989, Mr. Holmes worked at Drexel Burnham Lambert in Beverly Hills, California. At the beginning of his career, Mr. Holmes was a practicing attorney at Vinson & Elkins in Houston, Texas. He remains a member of the bar in New York and Texas. Mr. Holmes received a J.D. from Columbia Law School in 1984, an M.B.A. from Columbia Business School in 1984, and a B.A. from Harvard College in philosophy in 1981.